While, this rings true when it comes to storefront signage and reception signs, but our stance here at The Sign Depot is a little different. 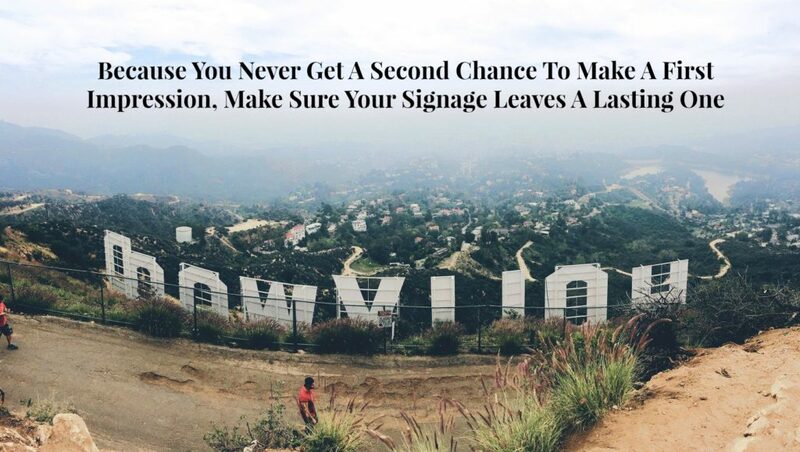 Because you never get a second chance to make a first impression, make sure your signage leaves a lasting one. We want your business to look impressive from the moment that a potential customer sees it, but we want your company signage to leave a lasting impression as well. Choosing to brand your business with custom signs is the best way to ensure your company is memorable. This is of great importance when it comes to current clients recommending your business to others. They want to refer their friends and colleagues to well established professionals. If your signs don’t convey that sentiment there is less of a chance that your will get that word of mouth recommendation. What Do Your Custom Signs Say About Your Business? Springtime is always a good time to take a look at your building’s curb appeal. Take some time to pass by your business. See how it looks to those traveling past in a vehicle or just walking by. Will they be impressed by what they see? What is your signage saying about your business? If it’s not conveying the message that you are the expert in your industry, it would be a good idea to change it. You may just change the impression of your business in your community. Choosing to create a custom sign that elevates your brand is the best way to make a statement both visually and in your field of business. It acts as a 24 hour advertisement for your company, so be sure to consult the expertise of a professional sign company. They will make recommendations that fit your business and your budget. Your custom sign might start a conversation with a potential customer or help influence a decision maker looking for a new supplier. 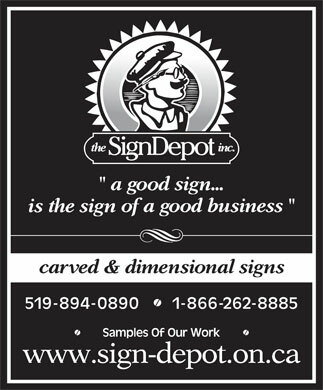 Here at The Sign Depot we want to ensure your company is always top of mind and leaves a lasting impression. As a retired business owner, I can attest to the fact that first impressions are very important for any business big or small. You will never get the opportunity to draw in the customer with a good first impression. A sign that is in clear view and direct brings money through your door. The Sign Depot has it right. Catch their attention, keep their attention. 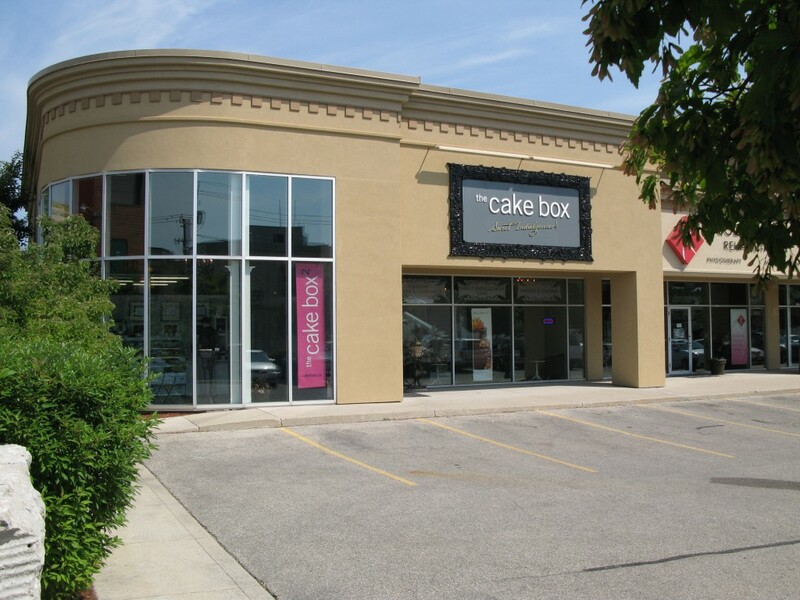 I like the cake box sign. It is catchy and I will remember it.